This entire issue of Sphere Magazine, March 1975 is dedicated to Finland! 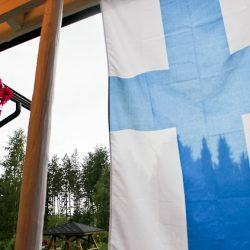 Featured are the foods, people, customs, and home life of the Finnish people. 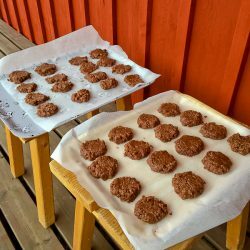 Cousin Cookies are no bake cookies with a fun story that traveled through the decades and across an ocean, bringing cousins together. January is National Hot Tea Month! 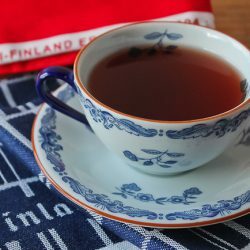 What better time to use my Finnish tea, plates, and tea towels, all to enjoy around a cozy fire. After recovering from the excitement of the Paul McCartney concert, it was time to start cooking again. 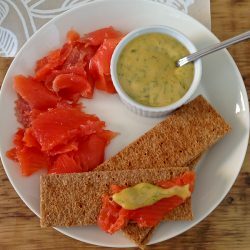 Finnish cooking, that is! 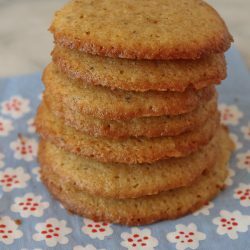 I’ll find any excuse to bake with my favorite cardamom bought in Finland, including these dainty little cookies to have with ice cream this summer. 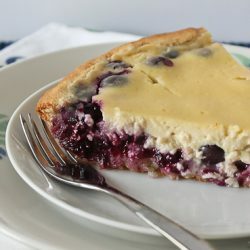 Is it a pie? Is it a cake? This heavenly Finnish Wild Blueberry Coffee Cake may be called a cake, but we’re not quite sure what it is – except delicious! Blue is my new favorite color for Valentine’s Day. Our big-hearted relative Leena from Finland sent me a gift for this day of love. 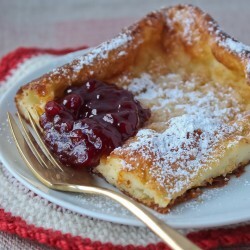 Kropsu is the traditional Finnish baked pancake that our family enjoys after Christmas.